Varun Sawant Assistant Professor, Vaidya Yagya Dutt Sharma Ayurvedic Post Graduate Mahavidalaya, Khurja, Bulandshahar, Uttar Pradesh, INDIA. Dr. Ashu Associate Professor, Vaidya Yagya Dutt Sharma Ayurvedic Post Graduate Mahavidalaya, Khurja, Bulandshahar, Uttar Pradesh, INDIA. N. A. Prasad Professor, Vaidya Yagya Dutt Sharma Ayurvedic Post Graduate Mahavidalaya, Khurja, Bulandshahar, Uttar Pradesh, INDIA. Nidana Panchaka is one of the many methods of diagnosis in Ayurveda. It is the most important method to diagnose disease, know its causes and predict its prognosis. Nidana Panchaka consists of five things which are Nidana (etiological factors), Purvaroopa (primordial symptoms), Roopa (signs and symptoms), Upashaya (like and dislike) and Samprati (etiopathogensis). Diagnosis of disease depends on Tridoshas which are Vata, Pitta, Kapha which are responsible for every disease that occurs in the body. These imbalances in the body Doshas are due to etiological factors such as lifestyle and eating habits of a person. Prior diagnosis is essential before one goes for the treatment of disease. There are many other techniques which are used for the diagnosis of the disease like Ashtavidha Pareeksha, Dashavidha Pareeksha, Chaturvidha Pareeksha, but this article is only concerned with importance of Nidana Panchaka. SAWANT, Varun et al. NIDANA PANCHAKA - A TOOL OF DIAGNOSIS IN AYURVEDA. 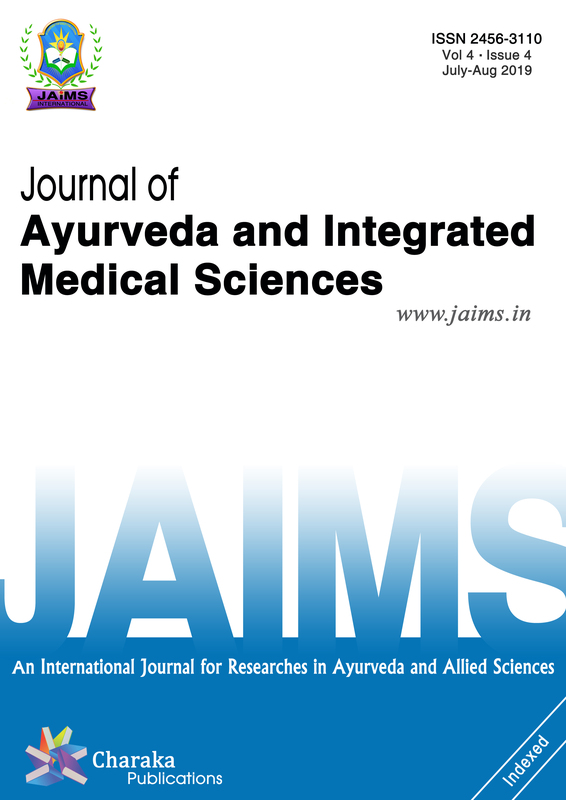 Journal of Ayurveda and Integrated Medical Sciences (ISSN 2456-3110), http://www.jaims.in/index.php/jaims/pages/view/Citation, v. 4, n. 1, p. 61 - 65, mar. 2019. ISSN 2456-3110. Available at: <https://jaims.in/index.php/jaims/article/view/764>. Date accessed: 25 apr. 2019. doi: https://doi.org/10.21760/jaims.4.1.12.